After years of tedious study, I’m sure most of you, graduating students, are excited to wear your togas, get your diplomas and toss your graduation caps into the air. But while waiting for that celebratory day, you are faced with the thought and excitement of joining the workforce soon. As this would be the official start of your career, it is best to start preparations as early as you can. If you have plans of becoming happily employed, you can increase your chances of landing a good job by doing a few things now even if you still have a few months to go before graduation. 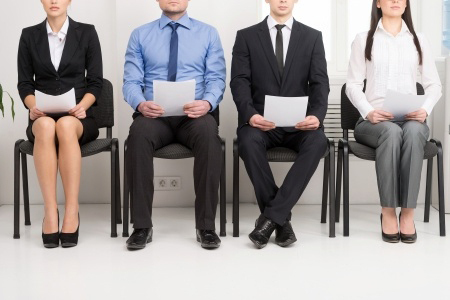 So here are some practical tips that can make you stand out immediately as a job candidate. Every year, around March to April, I see a bunch of new graduates hovering together around the hallways of our office building. You can easily spot them because they are holding brown manila envelopes and peeping nervously inside the offices as they try to muster the courage to open the glass door, ask if there’s a job vacancy and hand out their resumes. During these months, my in-tray and email inbox are usually filled with applications. And since new graduates tend to apply together, I’ve noticed that most of the time, their resumes are almost identical to each other. Except for their names and contact details, their resumes consist of the same school, the same course and seminars, the same clubs and school project titles. Needless to say, this is not how you can stand out from the rest. There are many ways you can make your resume stand out. First, do not copy your classmate’s resume. Your experience, hobbies and interests are unique to you. It is what makes you interesting. So prepare a resume that fits your personality and represents you best. If a Recruitment Officer sees that your resume is almost identical to your classmates, chances are, s/he won’t remember any of you. Second, highlight things that you have accomplished while studying. Most new grads would write clubs that they have joined and seminars that they have attended. But as an HR practitioner, I know that it’s fairly easy to join a club and sit through a seminar. What matters to me and my colleagues are accomplishments and projects that you have completed which showcase your skills. For example, one of my best hires, an IT graduate, created an online resume website as a project in school. She included it in her resume and provided the link. I got impressed and it showed me a skill that she had that others do not. That’s how she stood out. Lastly, put some meat into your resume. In my opinion, it is important to include a short application letter or if you are sending your resume through email, at least a short message that states your intention of applying and what position you would like to fill. It is common courtesy and basic etiquette. A simple, well-written note will definitely make you stand out since only 1 out of 20 job-seekers would write a message nowadays. The rest would just send generic resume email attachments without any message at all, based on my experience in the Philippines. Resumes without photos are okay, unless the job advertisement specifically asks for it. If it does specify that you need to submit a photo, then be sure to submit a presentable one. However as an HR practitioner, I must admit that I personally prefer photos in resumes because it shows me how neat and presentable the applicant is. However, there are many instances wherein I had to reject applicants based on poor photo mug-shots, especially for sales and front-line positions. So if you look good and pleasant, by all means, attach a presentable photo. It could be a plus. Aside from my tips above and submitting well-written, error-free resumes that are focused and tailor-fitted to employers, you can increase your chances of getting a job interview by showcasing your skills through sample project portfolios, online websites, social networks, referral letters and yes, even through connections. In the real world, networking is a skill and your contacts are your assets, after all. There are many ways that you can stand out among your peers. The important thing is to care enough to put in time, effort and brain-work into the process. Putting in the extra effort and doing even the simplest of things can result in better rewards for you. Congratulations in advance on your upcoming graduation and good luck with your job-hunt!